Per retired in 2001 from Nordgraf A/S, where he has been production manager since 1999. Educated and trained in printing and graphics, he holds a Bachelor in Media Production and Management from The Danish School of Media and Journalism. Per has held technical, production and management positions at several companies within the graphical industry throughout his career. From 1995 to 1996 he served as national president of Round Table Denmark. A Rotarian since 1999 and a member of Aarup Rotary Club. Per has served his district as assistant governor, green jacket district governor 2007-2008, District Rotary Foundation Coordinator, District Polio Coordinator and as his district Council of Legislation representative for two terms. 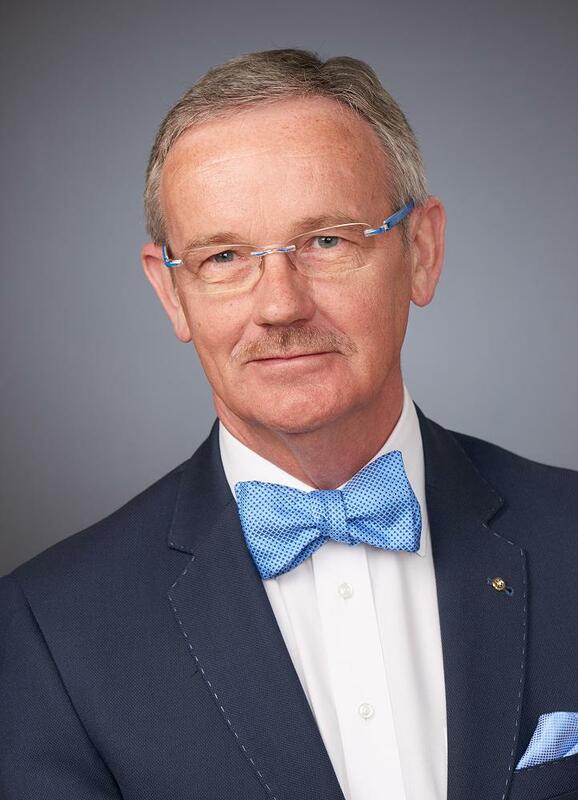 For 6 years Per has represented the five Danish districts as a member of the board of Directors of the official Rotary magazine Rotary Norden – two of those he served as the chair of the board. During his term at Rotary Norden he served as the Chair of the committee for digital development of Rotary Norden. Per has served as The Rotary International Presidents Personal Representative (RIPPR) several times and is a receiver of the Regional Service Award for a Polio Free World and Citation For Meritorious Service. Per is married to Annette, a member of Assens Rotary Club who served as district governor in 2012-2013. They are both multiple Paul Harris Fellows, Major Donors, Bequest Society Members and Benefactors to The Rotary Foundation.